A Journey Toward Perfection reveals a path toward developing an intimate experiential relationship with God. God’s love for us extends beyond His one act of sacrifice on the cross. To fully comprehend God’s love for us, it is necessary for us to understand Jesus, God’s beloved son, who left His throne of glory to live among us, to become vulnerable like us. To fathom God’s love for us, it is essential for us to experience His journey through life, what He endured, what He suffered by walking in His footsteps, by traveling life’s journey as He did. As we embark on this journey, we will learn how to endure and overcome the trials and tribulations of our lives. We will learn how to cultivate an intimate relationship with God, communicating with Him in a two-way dialogue, not only speaking to God, but also being attuned to His voice. Christ gave us a road map to follow through the Beatitudes. 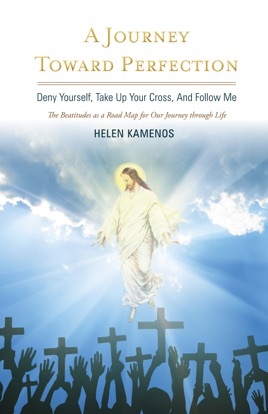 By following this path toward Christ, God is revealed to us in an unprecedented way and becomes a beacon in our lives. Two thousand years ago, Christ ignited a fire, which changed the world. For those who seek God, that fire continues to burn brightly in our hearts today.